Discussion in 'General' started by Zombie Dude, Jul 4, 2013. 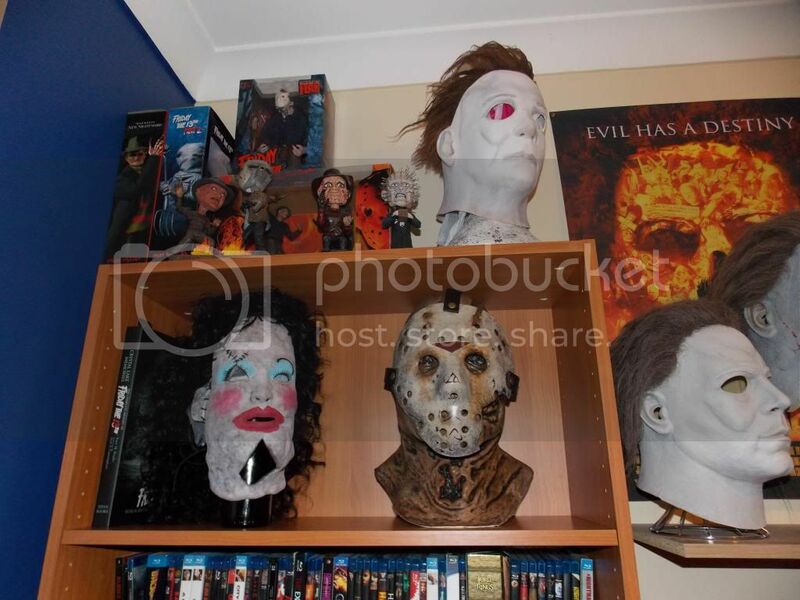 I've seen a lot of dvd and blu collections on here but not much when it comes to replicas and masks. This is the spot to show off your stuff! Post your MASKS, REPLICAS (toy replicas count!) and PROPS here. Steel76, Kim Bruun and buck135 like this. There was a few masks in the old thread but they were few. Too many google images annoyed me to no end in the old thread. I agree about the posters whoopie doo they do nothing for me. I really like the toys and mask themes going on here. Still it's a shame hardly nobody is contributing. 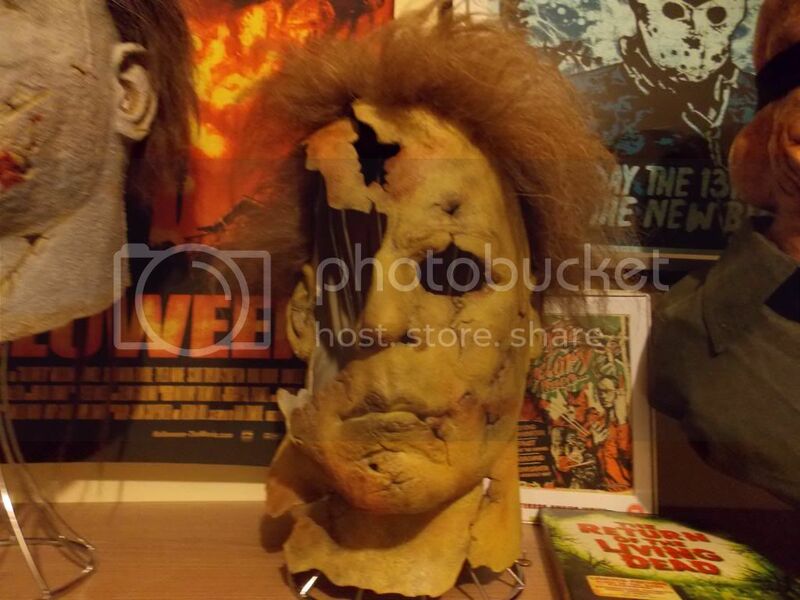 I don't have any horror memorabilia myself to share unfortunately. Thanks Dobby Yea I want this to be strictly for the things mentioned, that way there's a more consistent flow if people start posting. I'm hoping people start showing some of their stuff soon, I'm really interested to see it! I'm assuming the lack of contribution at the moment just means members here don't have a lot of this sort of thing in their collections. Hope I'm wrong though. Just got this in from legendary artist/sculptor Jeremy Bohr. 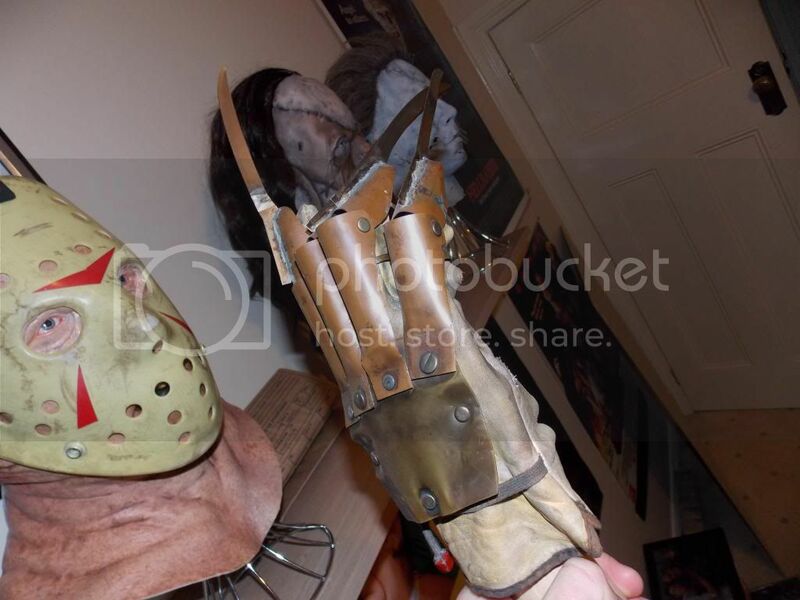 The mask is called "The Burnt Maniac" and many will notice that it's a near replica of Cropsy from The Burning. This piece was painted by the great, Aaron Crowell. There are many legends about Cropsy but The Burning is such a fan favorite and a fun slasher film that I had to own this piece. Enough with the talk. Just got in "The Bayou Butcher" aka Victor Crowley from artist/sculptor Jeremy Bohr. Victor Crowley is a legendary "swamp monster" and serial murderer of diminished intellect and possible supernatural origins. He is directly responsible for the deaths of at least twenty-one people,with more having been mentioned. Legend has it that Crowley is "stuck in the night that he died". Jeremy Bohr captured the look perfectly in my eyes. Check it out below. Here is my Dario Argento Demons mask. Here's my Madman Marz mask signed by Paul Ehlers the madman himself. From The Hills Run Red my Babyface mask. Return Of The Pagan King Rawhead Rex sculpted by Shawn Nagle from Resin Factory. 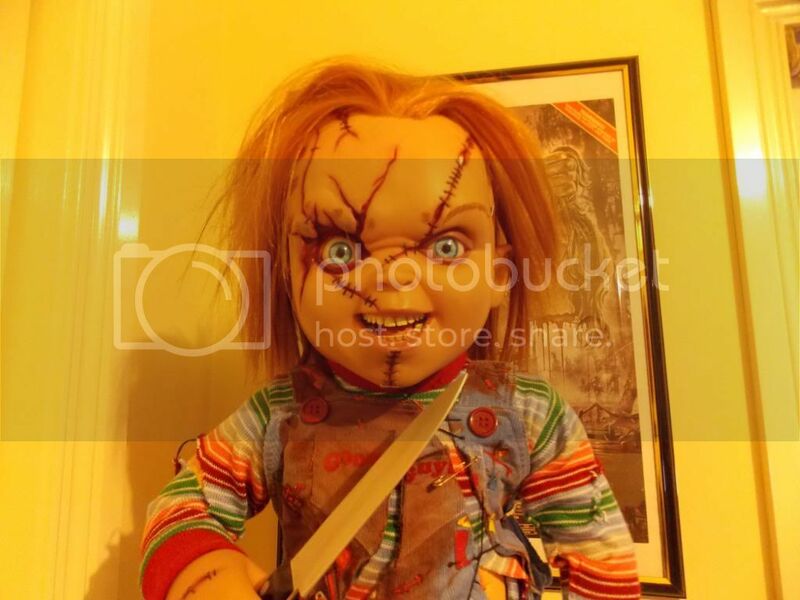 I thought we could have a thread were people could show off there horror collection. I myself collect movie posters, masks, and model kits. I don't know if this is the right place to post if not mods feel free to move. Anyway I'll start off with my all time favorite monster flick Rawhead Rex. 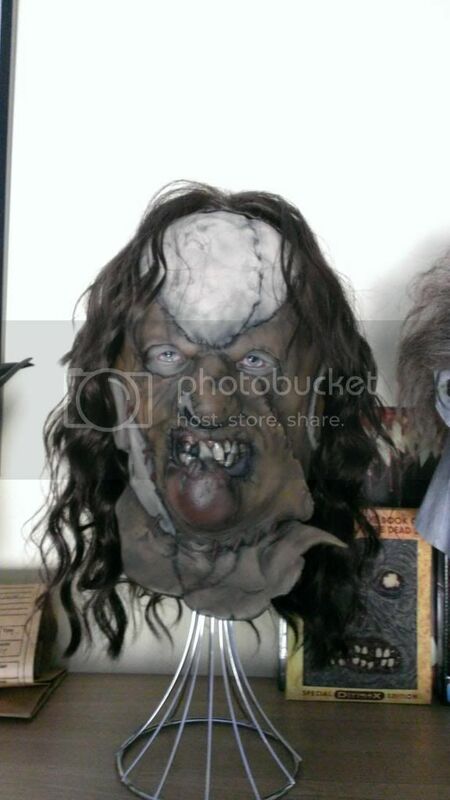 Rawhead Rex mask signed by Clive Barker. When I met Clive he told me one thing he always wanted to incorporate on Rawhead were tribal markings. Clive wanted it to symbolize how old he is and that he is the last of his kind. Clive asked me if I would mind and I told him no go ahead and this is what he drew. Can you delete the posters in the Rawhead Rex post? Some very cool stuff there. I'm looking for a good Cropsey and Victor Crowley. Yeah OK transferred the masks/toys from the old thread. I removed the posters so you could enjoy the good shits. So you've got nothing to show off Dobby? 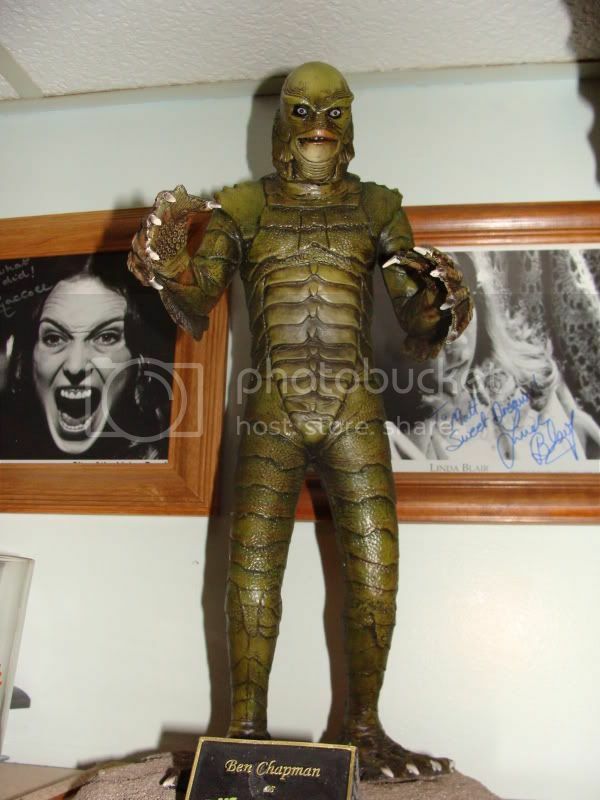 If I had my own place I could indulge into memorabilia like this. I don't have the space or room for novelty items I really don't. I also probably couldn't afford to buy stuff like this at $150-$400 a pop. I'd actually be much more interesting in seeing yours and everyones movie collection. I do believe you showcased your collection of movies before. However for the life of me I have no clue or idea where that post is. That thread already had masks and replicas and such. And posters and books are collectibles. I thought we could have a thread [where] people could show off [their] horror collection. I myself collect movie posters, masks, and model kits. 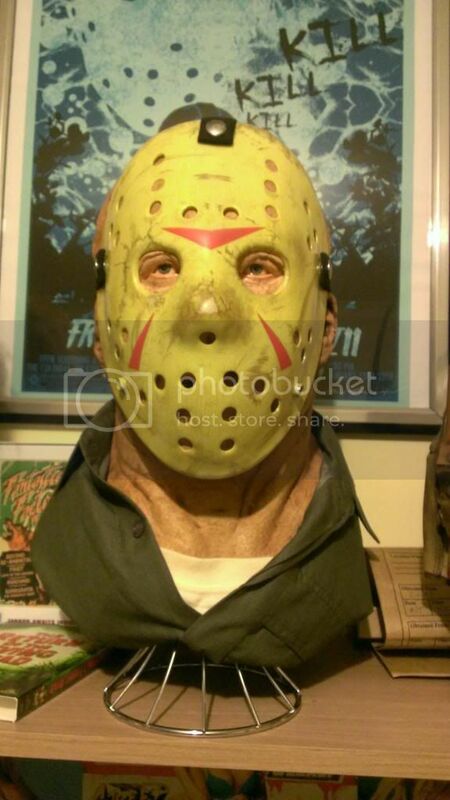 Yes but I meant collectible masks and replicas as a specific term, not broad. eg. 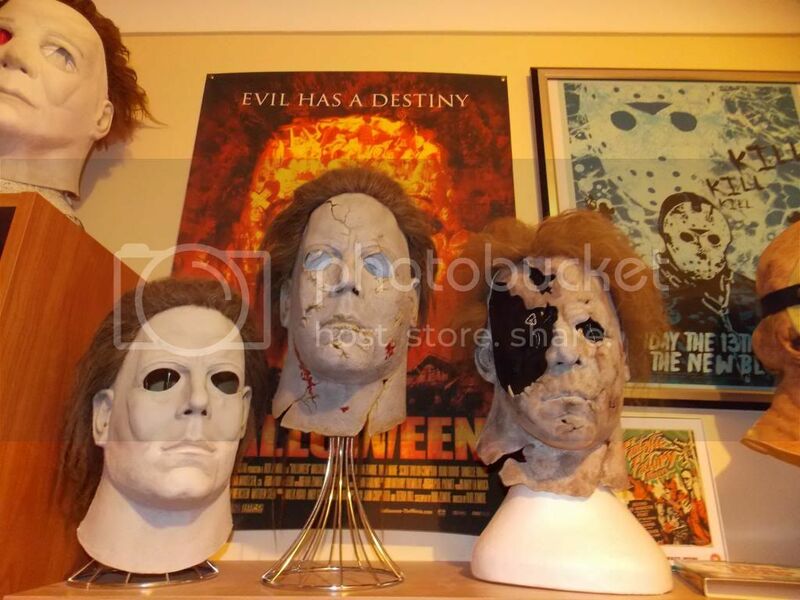 Collectible masks. I'll add a more thorough description to my first post.